With playoff season approaching, we here at DefineARevolution.com, wanted to add a section for sports to the site. Since I was able to walk basically, I've been a fan of the NBA. I played sports as a kid growing up. And while I always loved the NFL and even some MLB (for like 3-5 years. Growing up, we had the Ripken breaking records on the Orioles era, the Ken Griffey Jr. era), the NBA is forever where my heart remains. I wanted to write my choices for the top five NBA players of all-time. Now, usually when I do my top 5 all time players, there's a criteria, and while I'm taking into consideration stats, MVP wins, championships, and etc. This list is mostly motivated by my personal opinion. Now, with that disclaimer out the way, let's get it started (Also, if you don't agree with my list, that's fine, speak on your own top 5 players and state your opinion as well. That's the purpose of these). You could say that Magic had an unfair advantage being a 6'9 point guard, but that cannot take away from his accomplishments, his game, or his victories. With 10 All-NBA selections, 5 NBA championships, 3 regular season MVP titles, along with 3 NBA finals MVPs, Magic staked his claim as one of the greatest to ever step foot on a court. He led the Lakers to the NBA finals an amazing 9 times in his 14 year career and his 12.3 APG in the playoffs is still the highest of all time. Magic was only one of the best, but he is easily one of the most fun players to watch ever. Wilt was a one of a kind player. I'd dare say he was the most dominant player in the history of the game. While a few other names come to mind(Shaq, Kareem), Wilt is the measuring stick for dominance in the NBA history book. The man averaged 50.4 PPG and 25.7 RPG in the 1961-1962 regular season, a feat that I'm sure will never be duplicated again. 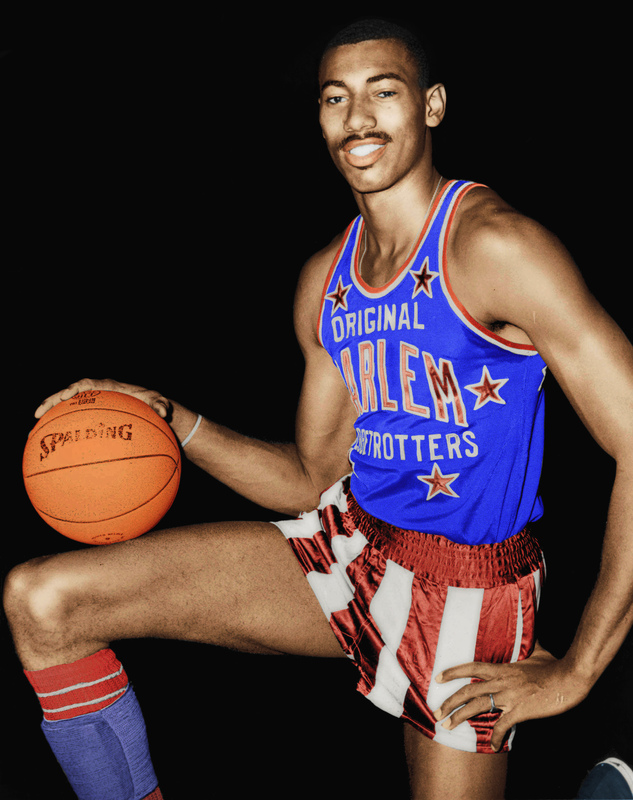 As far as championships go, Wilt "only" has two NBA titles with one finals MVP under his belt, but he managed to garner 4 regular season MVP titles, which only furthers his dominance. I know this pick will probably get the most flack, but that's fine. I struggled between putting Kobe at 2, 3, or 4. Kobe is my 2nd all time favorite player behind the man who is number 1 on this list, and I think his accolades speak for themselves along with his talent. 5 NBA Championships, 17 time All star, 4 time all star game MVP, 2 time NBA finals MVP, 11 time All-NBA selection, and of course his single regular season MVP title in 2008. When its all said and done, Kobe is undoubtedly one of the greatest ever, and his game is methodical, aggressive, and his psychology is bar none. Now, I struggled with this one admittedly. It would have been easy to put Bill Russell here. With an amazing 11 championships, 5 regular season MVPs, and his dominating defense, Bill is undoubtedly one of the greatest ever. However, considering everything, I had to put Kareem on here. As I referenced earlier, Kareem is probably one of the most dominant players in the history of game (right below Wilt but above Shaq). He is the NBA's all time leading scorer, has 6 regular season MVP awards(also a record), 15 All-NBA selections, 19 All-Star appearances, 6 NBA titles, and 2 NBA Finals MVP Awards. With a stat line such as that, along with his dominant game, defense, and more, Kareem rightfully earns his spot on this list. Were you expecting anyone else? Seriously? Didn't think so. MJ is the greatest player to ever set foot on a NBA court and I'd personally say it's not even close. His game was flawless, his record in the Finals is flawless, his finals MVP record is flawless, Jordan could do it all. Watching him play was like watching a master at work, an artist with their craft, a singer hitting the perfect note every time. More evidence of why MJ was the greatest even before he won a title? Look at his 1988 stats, as he won the NBA scoring title, MVP, and defensive player of the year. Amazing. Along with his 6 NBA championships and 6 NBA Finals MVP awards, he also amassed 5 NBA regular season MVP awards, further solidifying his legacy. At the end of the day, Michael Jordan is hands down the greatest player in NBA history. No one is in his league. And as it stands, we may never seen a player of this caliber again. SOTB!!! 's WIRTB Review: Who's Your Caddy?